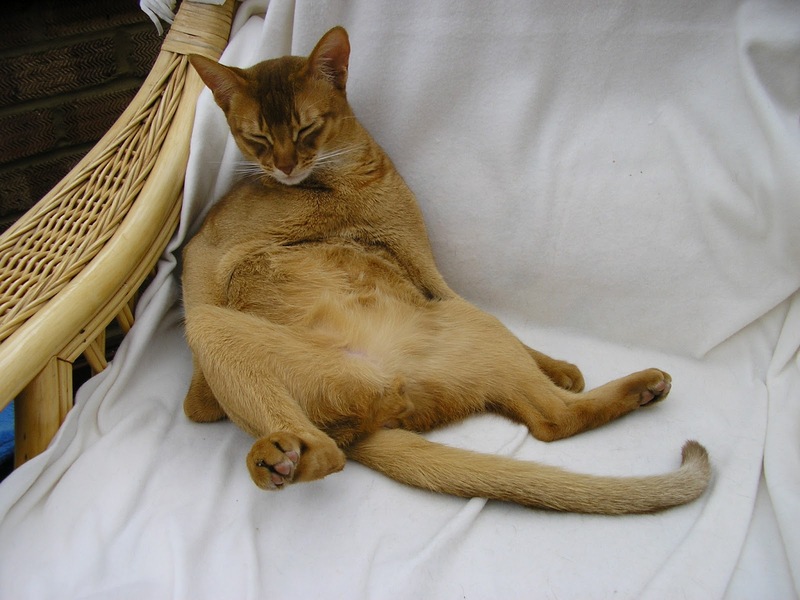 An Abyssinian is a type of domesticated Cat. 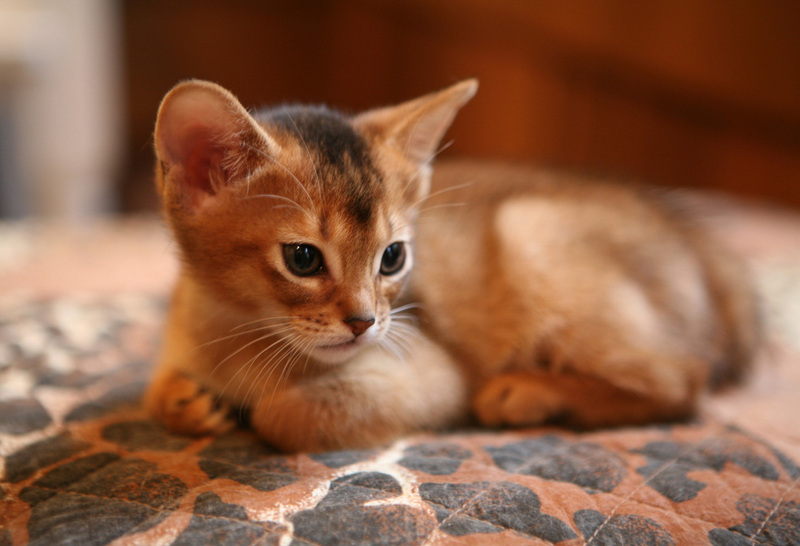 It is named Abyssinian because of where it was believed to have its origins. 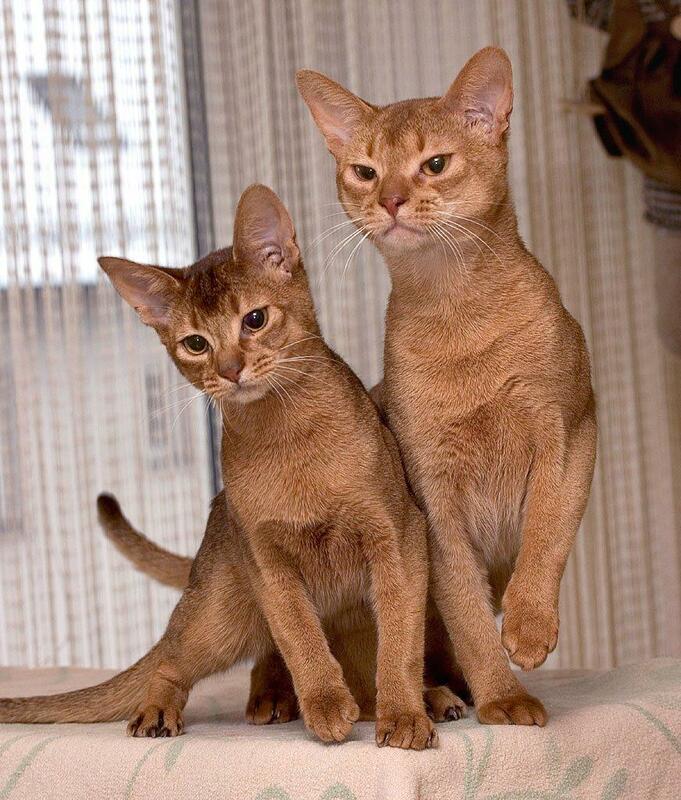 Abyssinian literally means Ethiopia which is where it is thought they originated. 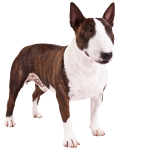 Because of their short hair and temperament, they remain one of the most popular breeds in the United States and around the world. 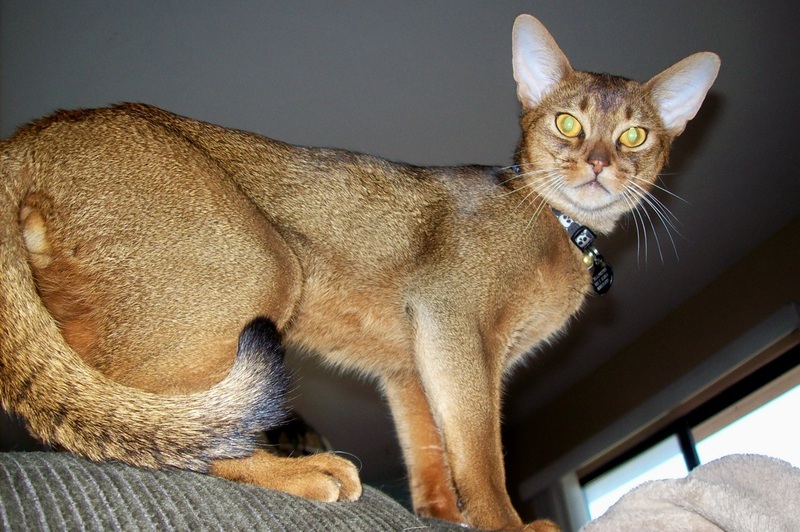 Although the word Abyssinian means Ethiopian, the real place of origin for this breed of cat is actually Egypt. 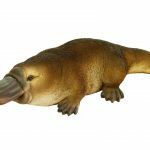 Research has indicated that they may have been wild animals that were traded near the Indian Ocean by the colonists who settled there. They were further domesticated in Britain. 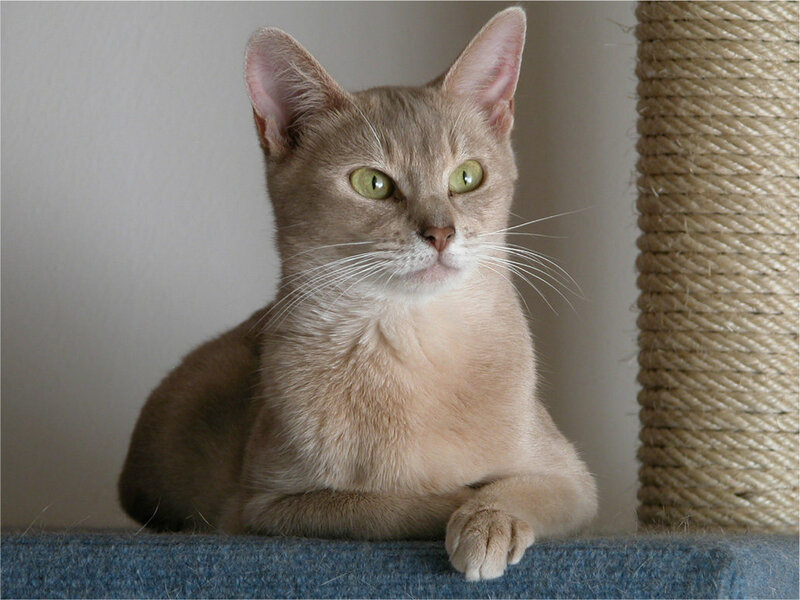 There is folklore that the breed came from one lone Egyptian cat by the name of Zula, who was captured by a British solder, but there has been conclusive evidence that it is anything more than a great story handed down through the ages. Because of their resemblance to the cats depicted on the walls of ancient structures, the thought persists that they were around as far back as the Pharaohs and the beginning of the Egyptian society. 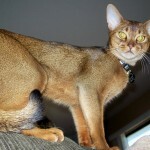 Abyssinian cats all have a similar appearance that includes long pointed ears and a broad head which is shaped in a wedge. Their eyes are distinct as well, almond shaped, that usually contain the colors of green gold, copper or hazel. Unlike other domesticated cats, their paw are smaller and have more of an oval shape. 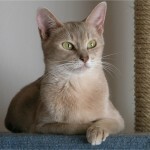 They have a fine bone structure, making their forearms must more petite than other cats. A long tail, it tapers at the end and their face has a form that resembles a vertical line, lining up their nose to their chin. They have a tell tale m-shape on their forehead, and what appears to looked like frown lines on their forehead just above the structure of their eyes. Most common colors for these creatures are chocolate, cinnamon, blue, lilac red, cream and tortoiseshell. One of the more medium sized cats, they lie somewhere in the middle of the other species. 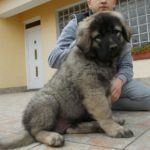 Popular because they don’t have the shedding problem associated with other breeds their hair is medium in length, and dense. Some describe the touch of their fur as silk. 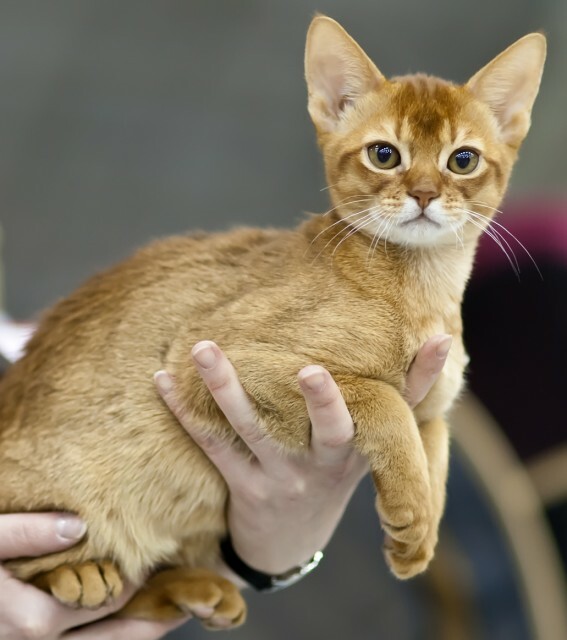 The various colors that they can display make them a sight to behold and is a reason why they are a favorite at cat shows. 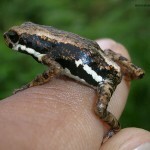 Through cross breeding the colors continue to increase and change in variation, making this breed more varied. 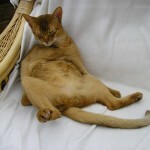 The Abyssinian cat lives in homes around the globe as domesticated pets. The reason that they are so beloved around the world is because they have a playful and easy going temperament. Unlike other domesticated cats they will not hide from people instead, they will engage in play with them. They are not considered a cat that will crawl up in your lap because they have too much high energy to be settled for any length of time. 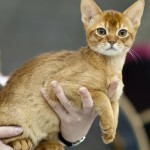 Being one of the most beautiful cats, they are a favorite for cat shows, and their breeding strength is very important to those who have them. Not aggressive, they make the perfect family cat for those looking for an easy going, good temperament. If you have the time to spend with them, they are perfect. Needing the attention of those around them, they are not a good cat for someone who is looking for a docile, content, self-sufficient species. 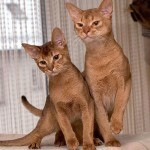 They are curious and excitable, as well as intelligent, making them a great family cat. Although their exact origins may always be a source of debate, the one thing that everyone agrees on is that they have a wonderful temperament, kind, playful and engaging. 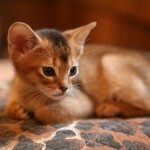 The perfect cat for any cat lover and one that is admired for the beauty that it possess.